Place bratwurst in a pan and add 1/2 cup of cold water. Cover and simmer on medium 15-20 minutes. Pour out water. Add butter to pan and brown sausages evenly on both sides, about 10 minutes. Mix horseradish and mustard in bowl. 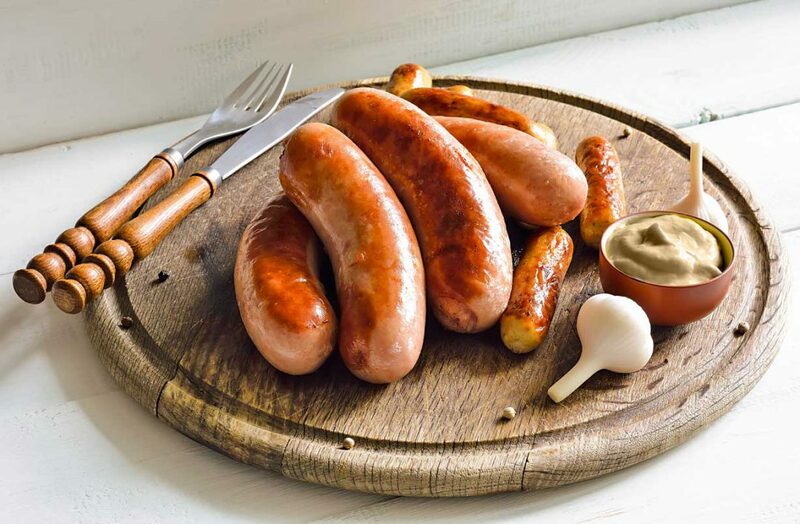 Remove from pan and slice each bratwurst into 6 pieces, platter and serve with dip.